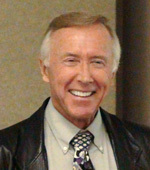 Kermit Zarley is a researcher and a Christian author. His published books include The Gospel, The Gospels Interwoven, Palestine is Coming, and The Third Day Bible Code. Since the early 1960s Kermit has been a diligent student of the Bible as well as a rather keen observer of world events, especially as they relate to eschatology. He writes mostly about biblical studies and theology, but also religion, history, and world affairs. His two principal areas of study are Christology and eschatology. Some years ago, he became troubled about his belief in the Doctrine of the Trinity and thus the idea that Jesus is God. He writes that "this consternation about Jesus’ identity rose within me solely because of my lifelong study of the Bible.” His quest led to the writing of his landmark book, "The Restoration of Jesus Christ" which was published in 2008. Is Jesus God Because of His Resurrection? Does the Bible Identify Jesus as God? The post-apostolic, institutional church has always proclaimed that Jesus was both man and God, and this is still the situation to this day. This church asserts that Jesus preexisted as God, being one of three co-equal and co-eternal members of a Trinity: the Father, the Son (Jesus), and the Holy Spirit.